If you have a need for knowing the weights of different items in your facility or business, then a scale is one of your most important pieces of equipment. Not only is having a scale critical to your operation, but having a scale that works properly and can accurately measure weight is vital. The S. W. Betz Company has significant experience with both the sales and installation of new scales as well as the calibration and repair of existing scales. S. W. Betz Company is a certified service agency with the Maryland Department of Agriculture, Weights and Measures Section. Each technician is trained and certified for scale inspections, calibrations, testing, and repair. Our test weights are calibrated and certified by the State of Maryland. We have generally found that scale calibration should be verified when scales are initially received, even when purchased as factory-calibrated. Many states require that scales used to buy and sell based on weight must be NTEP approved, inspected, and certified to be accurate. The NTEP designation signifies that a scale is legal for trade. Some of the scales that the S. W. Betz Company has sold, installed, calibrated, and repaired in the past are listed below. 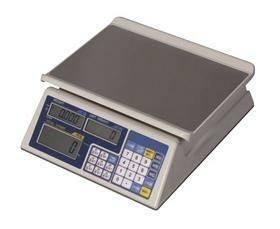 The S. W. Betz distributes some of the top scales in the industry made by reputable manufacturers, such as CAS, Cardinal Scale, and Indiana Scale Company. If you are in need of or would like more information on any of our scales, please contact us and one of our team members will be happy to assist you. For more information about Scales or any other product or service from S.W. Betz, fill out and submit the form to the right.